The XM3 KR84es is not just a regular lawnmower, it's a large-area mower. 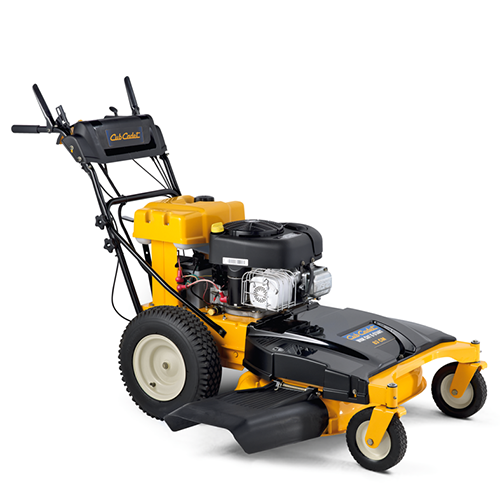 Thanks to the extremely large cutting width and high-performance engine, you can easily mow a large area quickly. A combination of strength and efficiency makes your work easy. You'll find incredible strength in its powerful engine. You'll experience ultimate efficiency thanks to an 84 cm (33”) steel cutting deck and zero-turn manoeuvrability. The variable four speed system allows you to set your speed based on the environment and personal preference. Front caster wheels enable easy manoeuvrability, while rear pneumatic wheels grip the ground for superior traction over uneven terrain. The reliable B&S OHV E-Start engine provides enough power even for cutting long grass and on inclines. Starts the engine comfortably at the turn of a key. The cutting height can be adjusted in eight stages from 25-100 mm using a single lever. Longer mowing times due to less fuel consumption. Swivelling front wheels and pneumatic rear wheels.